Have you heard about FCancer? FCancer is a non-profit cancer education organization aiming to erase late stage cancer diagnosis and create a more human cancer movement. Harnessing social media, FCancer targets Gen Y to educate about early detection, preventative lifestyles and communication around cancer. For more information on FCancer, please visit http://www.letsfcancer.com. 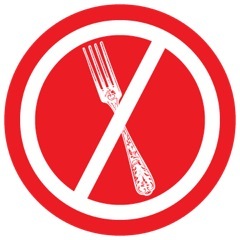 Industree will be hosting F*CK Forks, a premier pop-up event benefitting FCancer on Thursday, October 24th, 2013 from 6:00PM to 9:00PM at Taste of DC’s headquarters (629 New York Avenue NW, Washington DC). Tickets are $95 per person with a large portion of proceeds being donated to FCancer. If you can’t make it to the event, you can also just make a donation online. You can purchase tickets or make a donation online here. This will be a fun event with amazing food and drinks benefiting an amazing cause. Hope to see you there! Disclaimer: I received a complimentary ticket to the event. All opinions are my own.